Michael Stusiak’s practice focuses on complex commercial and financial services litigation concerning contract and tort claims involving commercial enterprises. In addition to serving Murphy Austin's clients, Michael also serves as general counsel to the firm. Prior to joining Murphy Austin, Michael practiced for 26 years with the international law firm Morrison Foerster. 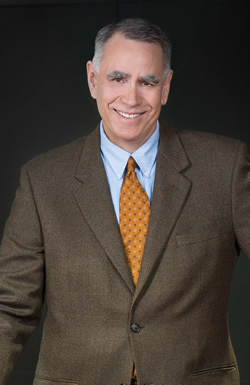 Michael has represented parties in real property, contract, and consumer rights disputes, as well as land use and environmental matters, and class actions and mass-tort products liability litigation. He has extensive experience litigating commercial contract disputes and disputes concerning distressed commercial and residential real estate and related lender liability claims. Michael has represented parties in the resolution of matters through trial, appellate, and alternative dispute resolution procedures. Michael has also provided organization and risk management counsel and litigation support for nonprofits and other charities. Michael is listed in the 2009 edition of Northern California Super Lawyers and he was named in Sacramento Magazine's Top Lawyers 2019 list. He graduated from California State University, Fresno with a B.A. in Political Science/Russian Area Studies in 1985 and earned his J.D. from University of California, Davis, School of Law in 1989.